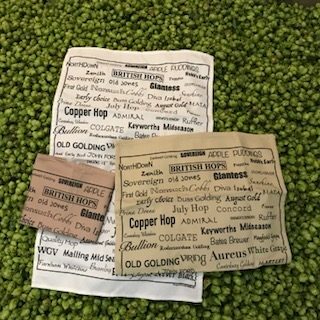 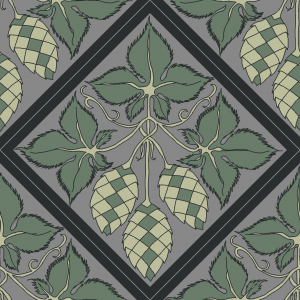 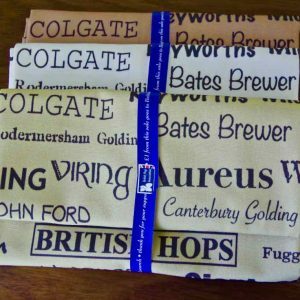 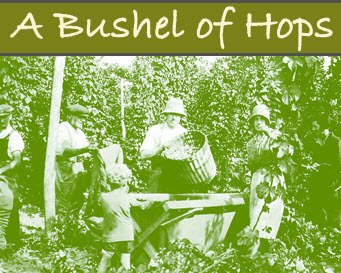 The British Hops T-Towels are available in pale green, white or old linen and all have black text. 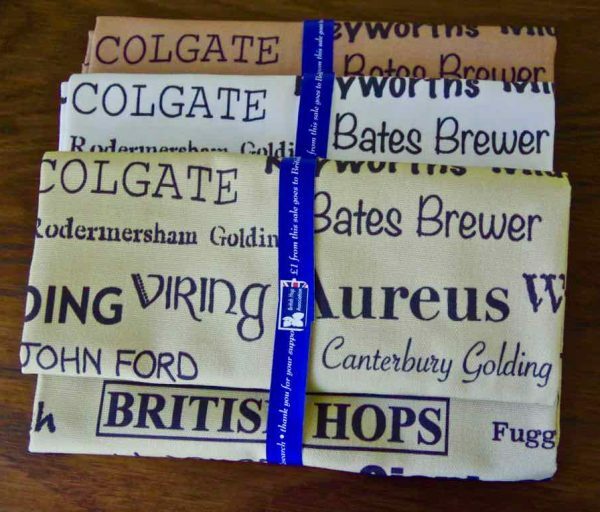 Your 3 Pack can contain all 3 in one colour or a combination pack of 1 of each colour. Trade enquires welcome, minimum order of 15 T-Towels, contact us for prices and postage.